Something happened in my forties. I settled into my bones. I stopped trying to be someone else. I started to lay a hold of who I was meant to be. I released shame, regret, fear and apathy. It seems to me that finding and accepting your gifts is a spiritual thing. 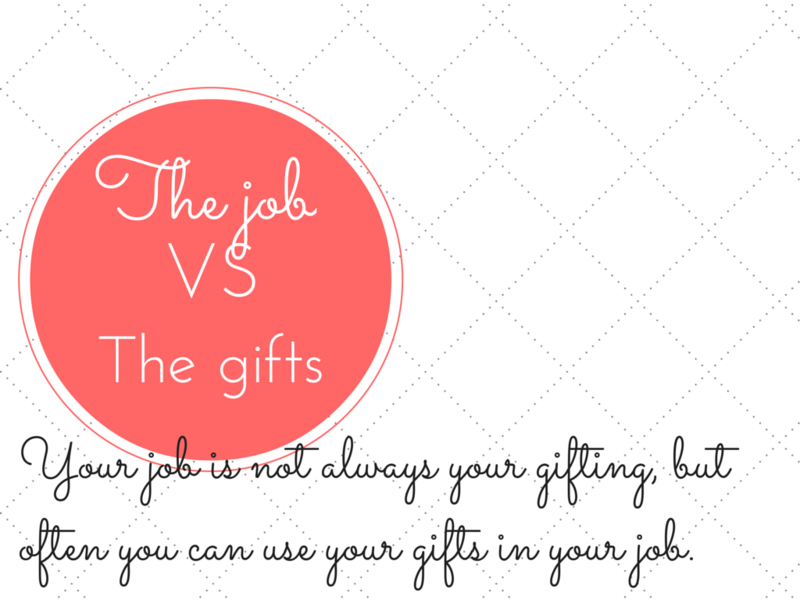 Some of us might feel like we have different gifts at different times of your lives. Some of us might only have one thing we are really "gifted" with. I don't think it matters. The value isn't in what your gifts are or when you realize it. It is in what you do with it. I'm good at a few things. I'm okay at a few more things..
And I am not really good at even more things. If I spend my time worrying and focusing on those last two things, what will I accomplish? 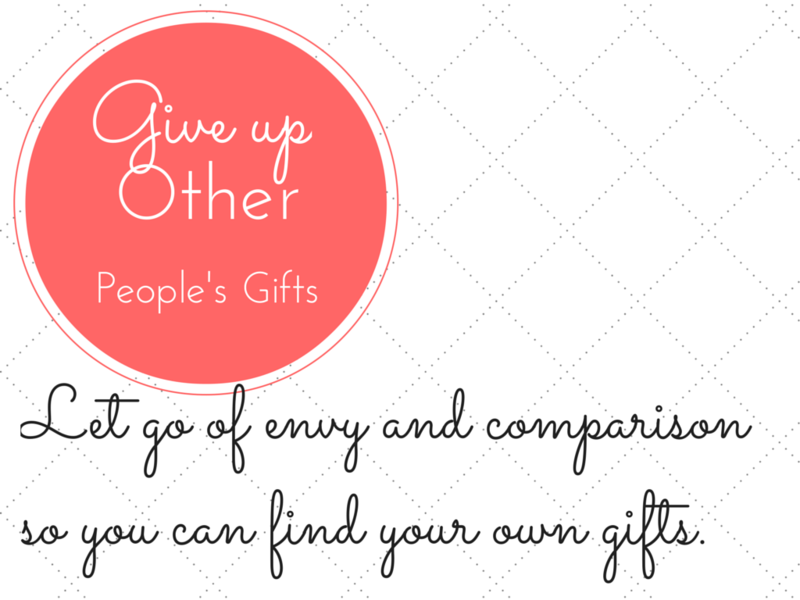 If I spend time comparing myself with others, envying their success what will I accomplish? If I constantly second guess? If I toss things out unfinished because they are imperfect? If I give up before I start a task because of fear of judgement- what do I have in the end? 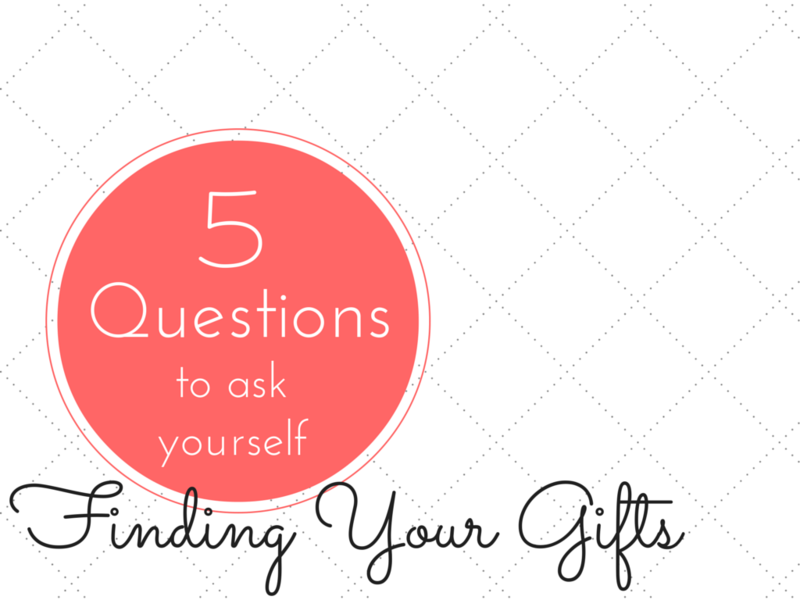 There are five basic questions that lead me to some life changing answers. What are you passionate about? Make sure that the thing you love is not the thing you love about someone else. This is your particular "love," and it is probably a part of you already. What makes you frustrated or angry? Hate being the opposite of love can reveal something you feel passionate about. Example: Think small. Think in a daily view, not a world view, because most of us hate injustice, cruelty, etc. One thing I hate, that really gets my goat, is really bad writing and stumpy underwritten children's books that get published and become a whole franchise. Or just get published in the first place. Now I can excuse this opinion as something presumptuous and judgmental or I can recognize it for what it means - I'm passionate about books and the whole publishing industry. 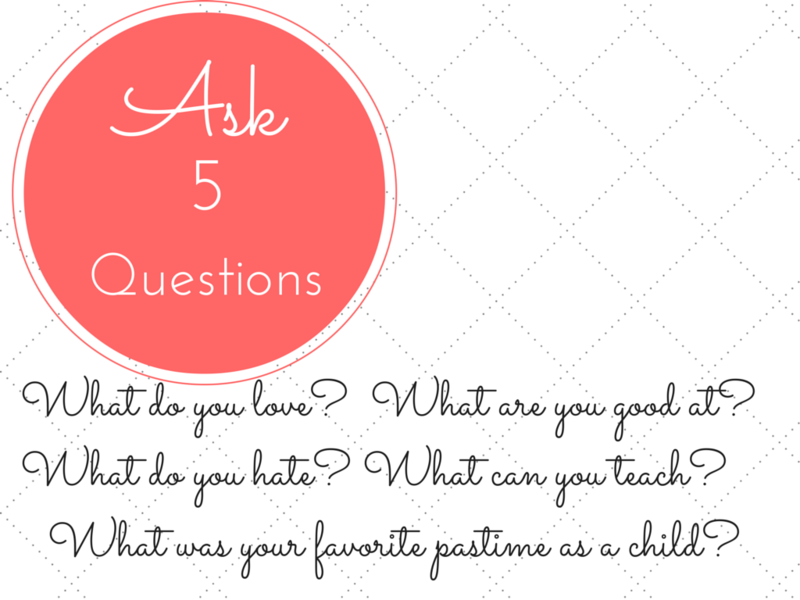 3.What was your favorite pastime as a child? Active or passive activity? Alone or in a group? Think of that first awkward year of Junior High, that activity you still loved before you entered the halls of peer pressure and painful self awareness. What is that activity that you loved to do before someone told you that you were doing it wrong and would never be good enough? Or what were you good at but you haven't done it in a long time? Cooking, building things, physical activity,giving advice, encouragement, writing, drawing, entertaining, helping others who need help, fixing things, organizing, sharing, giving, teaching, training, making things,listening, business ideas, self-starting, planning, music, dance, gardening, math, - there are so many different kinds of things you can be good at! 5. What can you teach? What do you enjoy sharing/teaching others or your children? What life lessons or life skills are the most important to you? These are the questions the Holy Spirit waked me through. Does that sound weird? Again, if you are not acquainted with Him it might sound odd, but I'm pointing to Him as my guide because I've never read a book, article or attended a seminar on how to find my life's gifts. In my twenties I was just living. Looking to fill up an empty place inside of me with love and affirmation. Looking in all the wrong places, I might add. In my thirties I was just getting through each day, making sure my kids made it to bed alive, devoted to them so much that I actively sought to silence dreams, goals and the voice of the Holy Spirit because I thought I had neither had time nor energy to do more than take care of my kids. In my forties I started to listen. Often we put our talents, dreams and gifting through a profit strainer. That one that says if we pour into something, cash must come out the other side. And while I don't recommend running away from responsibilities to chase after a dream, I do recommend giving up things like television, media and time eaters to chase after a dream. Sometimes Christians put all their talents, dreams and giftings through this twin filter of church and Bible. If it doesn't serve God now, in an obvious manner, than it must not have value. There is no truth in that idea. One of the most important ways to serve God is loving Him with your true self. I believe in the Creator of the Universe. He made platypuses people. He made mosquitoes. He made the giraffe and the cockroach. He made them because it pleased Him to do so. If He makes a platypus, which ninety nine percent of the worlds population will never see in the flesh, because it pleased Him, and then He can and does give beautiful, precious, important gifts to people that may never seemingly serve the church in any obvious way. Even if you are not a Christian Believer, you must know that you are more than the hunt for food, shelter, and a mate. You are a unique, creative, being with endless potential stored in your genetic make-up. All Christians have the same mandate: Love God/Love Others. For some that is their Life Calling. But for others, many many others, it is the mandate of our lives, but not our Calling. Love God/Love Others is how we do the job, not the job we do. Does that make sense? For the Pastor, his job is Love God/Love Others. He literally gets paid to do that job. For me, my job is with children, with elderly people. I get paid to do that and I do it with the character of Love God/Love Others. My calling, the thing I'm good at is to express and share my creativity with whoever cares to look at it- It's what I love, what I am good at, and what I can teach. The creativity part of my calling has been there since childhood. Whether I will ever earn money at it is still in question, but that I was called to do it is not. I can undervalue it. I can ignore it, but I can not escape it because it spills out everywhere. It is how I am made. We can spend half a lifetime stifling how we are made. Or we can embrace it and see where it leads.